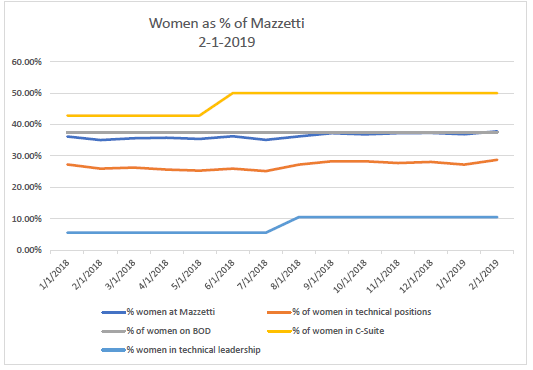 Ringing in the new year, Mazzetti hired seven new employees including five women, hence the slight increase in percentage of women and percentage of women in technical positions. 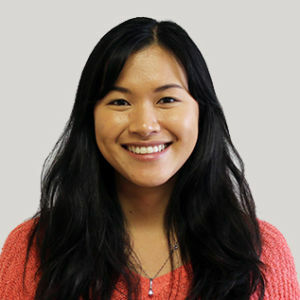 We are excited to announce that Cassidy Thompson, one of our new mechanical designers, will be co-chairing the Women@Mazzetti committee! In January, five young engineers from the San Francisco office attended the career fair at Cal Poly San Luis Obispo for recruiting. Our engineers spoke with and interviewed a lot of great candidates, many of whom, were women. 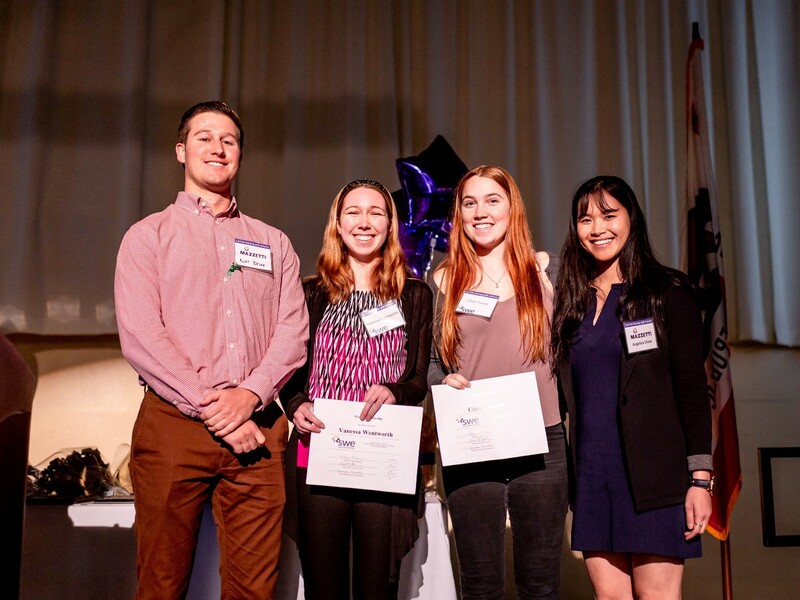 They also attended the Cal Poly Society of Women Engineers’ Evening with Industry networking event, in which, Mazzetti sponsored two scholarships for female engineering students. The theme for the event was “The Future is Ours,” inspiring women to take hold of their full career potential and become passionate leaders. This is an ideal we strive to embody in our culture for both existing and prospective Mazzetti-ites, increasing the number of women in technical leadership positions. Mazzetti representatives Kurt Beske and Angelica Chow (Women@Mazzetti co-chair) with scholarship recipients Vanessa Wentworth and Claire Turner at Evening With Industry.